With What Size Staff Should Your Center Roll? It’s a common question: Is it better to have a lot of people working a shift or to operate with a lean crew? Both options have benefits and drawbacks. Overstaffing means you’re prepared if you get a sudden rush of people. Working with a small team can help save money. Managers and owners at several roller skating rinks across the country offered insights into their preferred staffing strategies and why that methodology works for them. 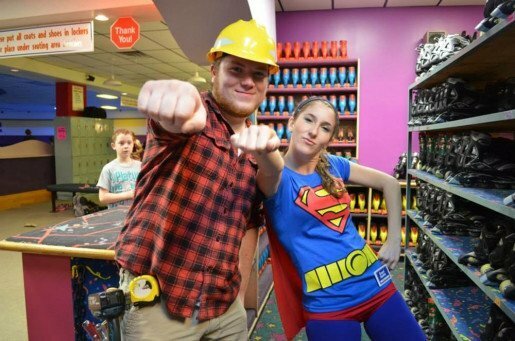 Employees at Great Skates Entertainment Center, in Bangor, Maine. As many of the employees are teens, the general manager prefers to overstaff so it is easier to fill in gaps when employees request time off for school or other commitments. Delana Knight, the owner of Joyland Skating, in Cabot, Ark., stated that she prefers to overstaff the rink, rather than work with a few people. She noted that the rink is located in a small community and that the parents who bring their children there expect the staff members to keep an eye on their kids. Having a large team during a shift ensures that the staffing level is where it needs to be and helps protect the skaters. When planning the rink’s schedule, Knight gives employees a set time to come in. She pays each employee for at least two hours, even if she ends up sending people home after just an hour or so. Amy Wright, the general manager at Roller World, in Kalamazoo, Mich., uses a similar strategy. She’ll overstaff when she’s not sure what the crowd at the rink will be like. Since many of her employees enjoy skating, if they end up not being needed on a shift, many will simply clock out and skate for fun. At Great Skates Entertainment Center, in Bangor, Maine, General Manager Tiffani Knight said that she also prefers to overstaff. Many of the rink’s employees are teenagers who have school and other commitments, so they can’t work that many hours. Having a large team makes it easier for her to plan the schedule and fill in any gaps when a particular employee needs to request time off. George Kolibaba, the operations manager at Oaks Park amusement park and roller skating rink in Portland, Ore., noted that he uses the history of the rink and trends from previous years to determine the level of staffing. The rink tends to get a certain number of people at certain times of year, which influences how many people work a shift. He stated that he tends to put one extra person on each shift, because he gets a lot of call-in cancellations, particularly when the employees are younger. Having extra people scheduled means he doesn’t have to scramble to find a replacement when someone cancels. Operating with a lean crew helps a rink save money. Peter Martin, who owns Great View Roller Skating in Newport, N.H., prefers working with a minimum crew, usually about two or three people per shift, to keep the rink on budget. He noted that operating with a minimum crew allows the rink to make ends meet without putting too much money into it. The design of the rink allows him to make the most of a small team. One staff member is able to see various areas of the rink from one location, which cuts down on the need to have multiple people working in several areas. Martin also uses technology to reduce costs and the need for staffing. Cameras keep an eye on the rink and Martin is able to view the footage from anywhere in the country. He describes his staffing strategy as a mix of using technology and common sense to reduce steps as much as possible. Hollie Freeman, the public relations management and marketing director for Windjammer Fun Center in Danville, Ky., and Finley’s Fun Center in London, Ky., stated that the centers typically use a lean crew simply due to the cost of labor. If there are “10 people in the building, and five of them are staff members, you are throwing money out the door,” she stated. Freeman also noted that it can look bad if there are a lot of employees on shift when the rink isn’t very busy. It looks like the staff isn’t doing much or is just loitering around. In many cases, it’s not so much how many people are working at once, but the quality of the employees at the rink. Kolibaba noted that he prefers quality over quantity and likes to hire the best people for the job. How a potential employee presents him or herself during the application and interview process really determines whether or not that person will be hired. Kolibaba recommended taking a close look at a person’s application. A sloppily written application can be a red flag, he warned, while one that is neat and orderly suggests a certain level of care and interest in the job. Personal appearance also plays a big part, he noted, saying that he is more likely to hire someone in clean clothing that fits well. Delana Knight also said that appearance and dress are important considerations, as is a person’s attitude. She stated that she rarely hires walk-ins at the rink. Instead, she typically finds employees through a volunteer-run, Christian Skate Night that the rink hosts on a weekly basis. She’s able to screen volunteers at the weekly program and see how they interact with customers and how willing they are to do the work. Along with appearance, a person’s attitude is an important consideration. Many rinks prefer to hire outgoing people or those with Type A personalities. Amy Wright said that she looks for people who are eager to work and who have friendly, outgoing smiles, while Hollie Freeman is always looking for someone who’s excited all the time. Some rinks are more strict about background checks than others. Freeman pointed out that because many of her employees are under age 18, she isn’t likely to run a criminal background check on them, but she will check references before hiring a person. Kolibaba said that the rink and amusement park do run background checks on potential staff members and drug testing is mandatory before the rink hires someone. Oaks Park also conducts random drug tests on current employees. 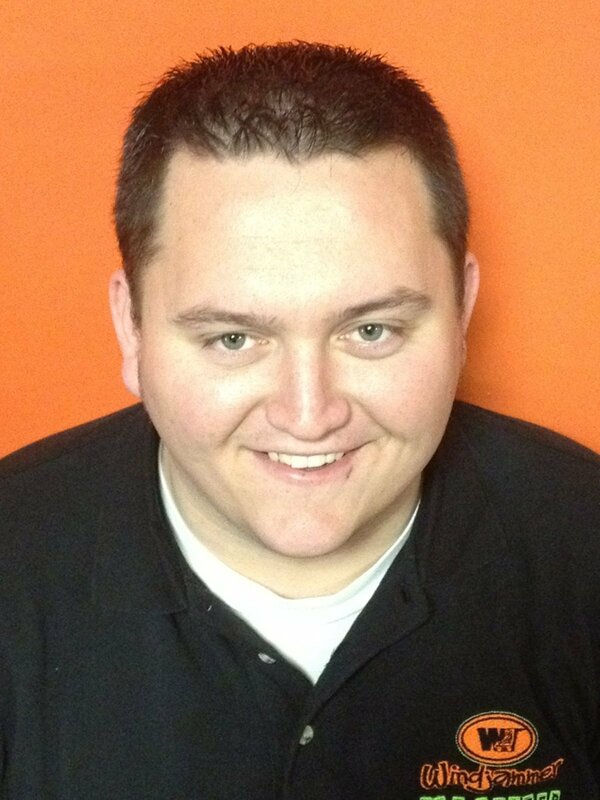 Jeremy Collett of Windjammer Fun Center in Danville, Ky. To keep labor costs in check, the center typically operates with a lean crew. Hiring from the customer base often proves to be beneficial. Peter Martin noted that he likes to hire people with energy, which is usually people who are active skaters. Hiring skaters or customers also helps a rink manager when it comes to pre-screening. Wright noted that she usually hires people who come into the rink regularly, or she’ll hire people referred by her current team, which serves as a sort of background check on potential hires.